As Victoria was worried that she and her husband were growing apart, she was gratified to receive a text from him suggesting they jump together over the Easter weekend.After all, he had not even bothered to text her over the new year when he was abroad. Victoria thought it was a work trip. Her husband was actually enjoying himself in Berlin with Stefanie.At home, Victoria was dealing with the ramifications of his rampant spending and borrowing. A bailiff from a payday loan company had been to their home. Alone, pregnant and looking after a toddler, she felt intimidated and afraid.She sent her husband a text about it.He replied: "Why are you worried? They can't do anything. "He had taken out several high-interest loans with payday loan companies. He asked friends for money, promising to pay it back. He transferred three lots of ?2,000 from Victoria's savings account to his own, without her knowledge.When she noticed the transactions, Cilliers told her that her account had been hacked. When the bank investigated this apparent fraud, it found the IP address was the family's home computer.But, on that day just before Easter 2015, when Emile suggested the jump, Victoria was delighted he seemed to want to not only do something fun, but do it together. In court, the 38-year-old had a confident demeanour. Carrying himself with military bearing, in the witness box he spoke of his fondness for cricket. He did not stint when it came to smart dress. He would wear not just a suit, but a waistcoat and ostentatious belt, a gold tie clip, shiny cufflinks. When someone mentioned in his hearing that it was proper for a gentleman's waistcoat be undone on the final button - which his hadn't been before - he appeared to take it on board and from then on it was unbuttoned. 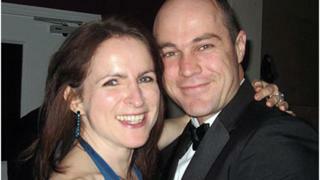 According to the prosecution barrister, Michael Bowes QC, much of Cilliers' behaviour was "learnt" rather than genuine. Elizabeth Marsh QC, Cilliers' defence barrister, told the jury that he "did not change in any way" after Victoria's fall. "He was not stressed or sweaty. He didn't start to act in a panicked or guilty manner," she said.When giving evidence he refused to be provoked. In a flat tone he replied to cross-examination with "that's your perception" and "it's not up to me to prove that".Phyllida Wilson, a lecturer in psychopathy who was watching the case from the public gallery said Cilliers displayed "all the signs" of a psychopath. "His interest in risky sports, his complete lack of remorse [for his infidelity], his excessive spending, his womanising, and his inability to empathise are all on the prescribed list of psychopathic behaviour," she said. "If the gas didn't work and the parachute didn't work, he would have had another go and another go until it was successful."